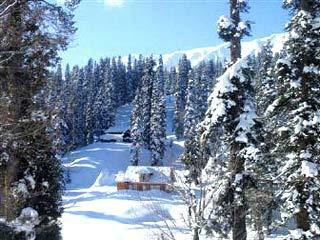 Kashmir is a beautiful jewel in the crown of the Indian Tourism, offers holidays which can be cherished for a long time. You can visit many places like the meadow of flowers, Khilanmarg Valley, the Shankaracharya Temple, Chashma-E-Shahi, Nishat Bagh, Shalimar Bagh and Hazratbal Mosque as ell as te scenic beauty of the snow capped ountains, Dal lake, gren valleys and floating houseboats and shikaras etc. This Charismatic Kashmir tour package is for 6 nights / 7 days, covering 3 nights in Srinagar,2 night in Pahalgam and one night in Gulmarg. The tariff starts from 21999 Rs onwards and will according to the Hotel / Resort you choose. You can board a flight from Delhi to Srinagar. As soon as you reach Srinagar you will check into the houseboat. Rest of the day leisure. 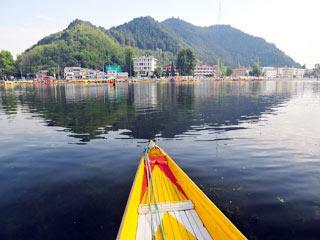 In the evening you can go for a shikara rideon the Dal Lake. it will be an hour ridewith 1-4 persons.You will return to the houseboat for dinner and stay the night. 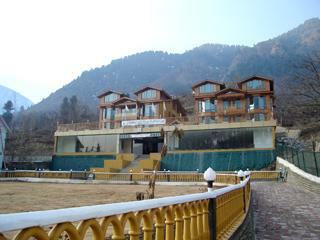 Sfter breakfast, you can proceed for an excursion to Chandanwari and Betaab Valley, back to the hotel for lunch. After that go for an excursin to Aru Valley, stay the nigh at the hotel. Day 4 - After breakfast around 6 30 am, proceed to Gulmarg. Spend the sightseeing , take a cab;e car ride to Khilanmarg or Apharwat Snow Point. Stay overnight at the hotel in Gulmarg. After early breakfast proceed on a day excursion to Sonmarg, the 'Meadow of Gold'. You can enjoy pony ride on the glacier. Stay night at the hotel in Srinagar. The tour ends after breakfast, with you being transferred to the Srinagar airport in time to board flight for Delhi. Return economy class airfare up to Srinagar including air taxes Ex-Hub. Transfers & sightseeing by air-conditioned vehicle (except in hills). Meals are included in thetariff, namely Breakfast, Lunch and Dinner. Airport to Meeting point transfers will be arranged by the available vehicle on sharing basis. Accommodation in the hotels as per thepackage of your choice. Sightseeing / monument charges are as mentioned in the itinerary.